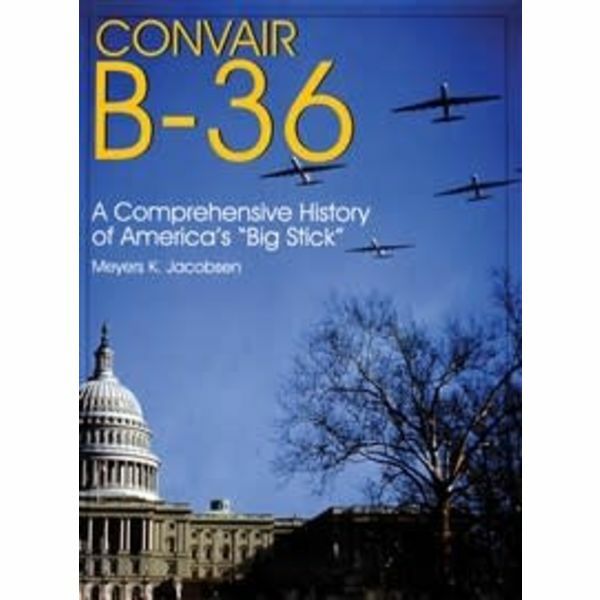 Convair B-36: A Comprehensive History of America’s “Big Stick” is a collaborative effort edited and co-authored by Meyers Jacobsen exploring the history of one of SAC’s air giants, the six-engine Convair B-36. 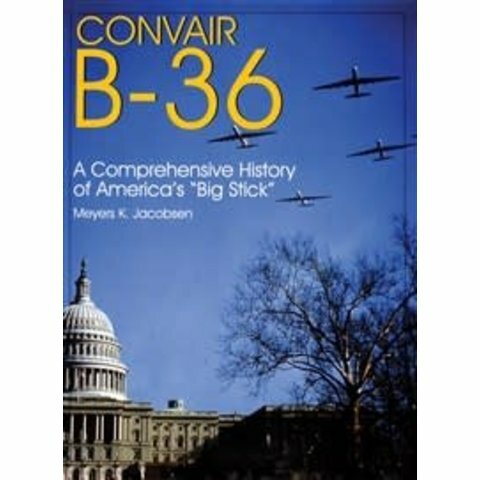 From the origins of the use of six engines on bombers from around the world, along with the history and development of SAC and the use of its numbers of B-36s, this book will give the reader a greater amount of information than has ever before been published on the Convair B-36. 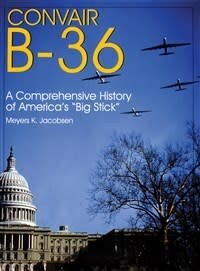 Included with the technical and historical aspects of the B-36’s use in SAC, are first hand anecdotes and accounts from the men who serviced, flew, and proudly served in SAC under Curtis LeMay. There are also detailed sections on the electronic countermeasures and various armament configurations applied in the B-36, as well as chapters containing information on B-36 attrition, and detailed accounts of the survivors that exist to this day. A wonderful book for aircraft historians, modellers, and SAC enthusiasts. Published 1998, 400 pages, hardcover, 9" x 12"